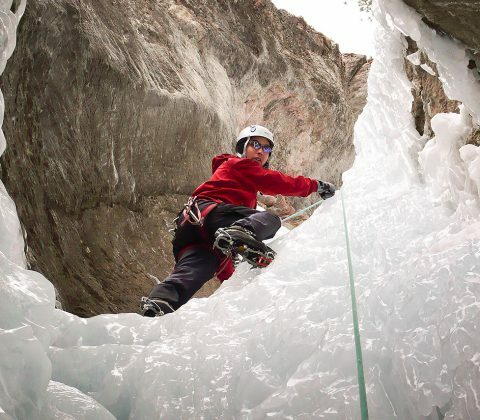 Our Cogne ice climbing weeks are located in Italy’s beautiful Gran Paradiso National Park, at one of the biggest centres for ice climbing in the Alps. With a friendly welcome guaranteed, there is climbing suitable for all levels of ability and experience. There is an amazing variety of climbing on offer, much of it within 20-60 mins walk from the car, situated in high alpine valleys that hold cold air and make Cogne a very reliable venue throughout the season. Hi Rich. 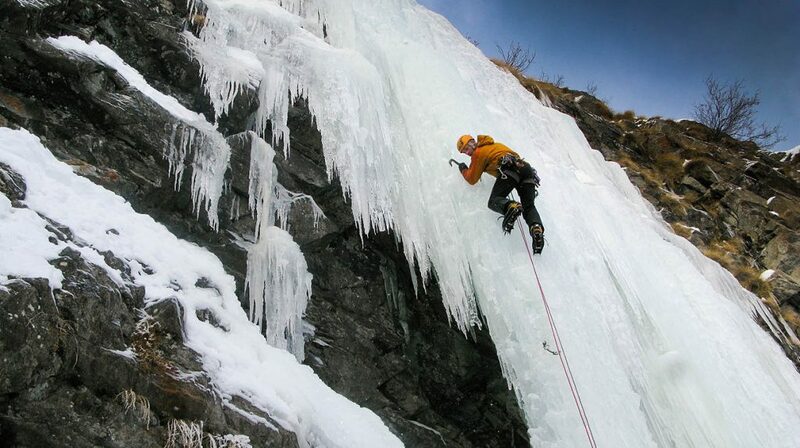 The ice climbing was great as always in Cogne, did a couple of new routes which was good Thoule & Lillaz Gully. La Barme friendly hotel just as remembered, toaster has not changed in 4 years (!) excellent food . Lori was a brilliant guide, I was chilled out all week. Thanks! I had a very enjoyable week, courtesy of some very well arranged weather and conditions! Lori was an impressive guide, always calm, clear and super efficient, plus he is a really nice guy which is always helpful. Hotel La Balme was nice, I liked that it is a popular spot for climbers. Thanks. Thank you Rich for organising this trip – it was fantastic! Dave and I enjoyed it a lot; Stuart is an excellent guide, a good teacher and very experienced – I will be very happy to go to the mountains with him again. The hotel was also very good and value for money. For novices there is an emphasis on teaching basic skills and improving technique, with plenty of routes at WI grade 3. For the more experienced, the area boasts numerous sought after big classics at WI4, with continued coaching in technical and movement skills, and for experienced climbers we can deliver a demanding week tackling some of the areas big classics at WI5 and above e.g. Repentance (6) and Trip in the Night (5+). Teams will formed of similar ability/aspirations each week – please enquire for your chosen date. This trip is suitable for all levels from introductory to advanced level. To take part you should be at Fitness Level 2 or above and Tech Level 2 or above (see our Fitness/Experience guidelines). We aim to team you up with a suitably experienced partner on each course, but some variation in experience can usually be differentiated by lead coaching if appropriate. At introductory level, you need no previous ice experience but should have climbed on rock previously – ie be able to tie on and belay safely. At intermediate level you need some previous snow or ice experience (in Scotland or the Alps) to get the most out of the week, and at advanced level you should have previously climbed Scottish grade IV/V to enjoy the course. One UIAGM guide climbing with 2 clients. Our course base is the friendly and comfortable Hotel La Barme in Valnontey, just 5 mins from the alpine village of Cogne, and within walking distance of many classic ice lines: just put on your boots after breakfast and walk to your route! The hotel is an excellent self-contained base with good food, heated underground parking, drying room, wifi access, bar and sauna etc. It’s a local hub for ice climbers and cross country skiers and a great place to exchange info on route conditions and general climbing chat. Rooms are provided on a twin (or occasionally triple) sharing basis, but If you wish to book a single room please let us know at the time of booking and we will confirm availability. Hotel details can be found on our Accommodation page. NB If you wish to stay in Chamonix for an extra night at the end of your trip, we’ll happily make a recommendation or help you book a room. You should arrange outward travel on Sunday, arriving in Chamonix by 5-6pm latest in time to meet your guide, and travel onwards to Cogne. Your guide will run through safety routines and kit checks, as well as hand out any rental equipment for the week, before we go on to a detailed discussion of everyones aims and goals for the course, together with the current weather and mountain conditions and how these affect our tailored course planning. We’ll have maps and guidebooks of the area to show you, so if you’ve any further questions or last minute requests, then this is the ideal time to bring them up before we head on to dinner. PM Overnight in the valley. Warm up Day – teaching axe/crampon skills and basic movement, or refresher for those who have climbed before. A good route choice for day 1 is Cascade du Lillaz (3), an excellent 6 pitch climb with easy pitches separated by big snowy platforms – perfect for finding some space and learning the ropes. Lillaz Gully (4) – a superb mountaineering route up a deep couloir with many interesting and varied pitches. Tuborg (4+) – steep columns! Final Day – we may visit a neighbouring valley en route to Chamonix, eg Val Savaranche, for one of the excellent routes here, such as Rovenaud (4). Return to Chamonix PM. If you choose to depart on Friday night, please leave plenty of time for repacking and airport transfer. You will typically be back in Chamonix by 4-5pm at the latest, so choose a flight departing after 9-10pm. Our meeting point for this week is the easily accessed, famous French resort of Chamonix, in the shadow of Mont Blanc. 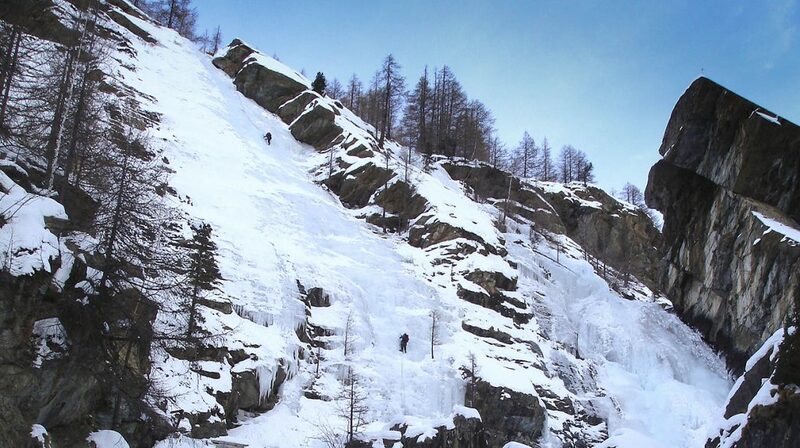 From Chamonix you will travel with your guide to the village of Cogne – Cogne makes a perfect base for exploring the many spectacular icefalls in this region, with cafes, bars and a good bakery etc. The most common way to reach Chamonix is fly to Geneva, then take a shared taxi transfer to the Chamonix valley (must be booked in advance). You should arrange outward travel on Sunday, arriving at Chamonix train station (arrange airport transfer to there) by 5-6pm latest in time to meet your guide. There are a couple of good bars next to the station if you arrive early – Chambre Neuf and Elevation. From Chamonix you will travel in the guides vehicle through to Cogne (1 hr 20 mins drive), arriving in time for the evening meal at your hotel. Return travel should be arranged from Chamonix train station on Friday night, after your final days climbing. You will typically arrive in Chamonix (in guides vehicle) by 4-5pm at the latest, so choose a flight departing Geneva after 9-10pm. Airport transfer from Geneva to Chamonix: Mountain Drop-offs offer the best all round service, with regular reliable transfers through the season. They offer a shared minibus taxi service which meets you in the airport and drops you off at Chamonix train station. Book your transfer here and use promo code ALPGUID to receive a discount on your journey. Alternatively hire a car at Geneva airport (1.2 hrs drive to Cham). Driving from UK, take the ferry or Eurotunnel to Calais/Dunkerque, then 9-10 hours driving on the French Autoroutes (budget approx 80 Euros each way in tolls). Please make a self assessment against these levels, and refer to the trip suitability requirements. Hillwalker/scrambler. You have UK hillwalking and perhaps summer UK scrambling, or European via ferrata experience – but no rock or ice climbing, or previous alpine climbing experience. Novice climber. 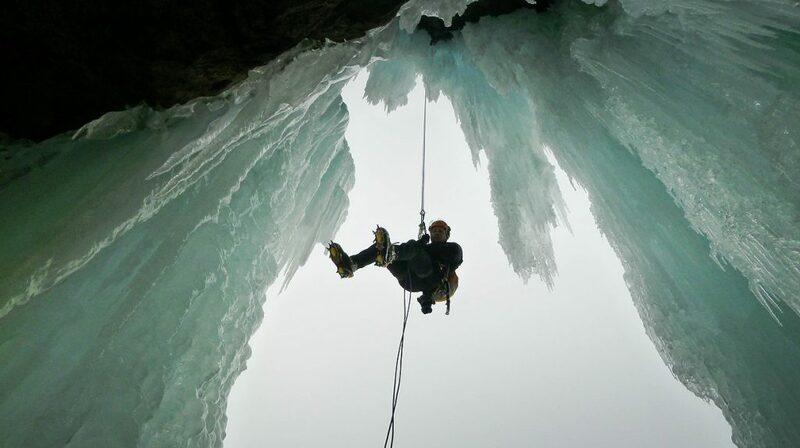 Indoor or outdoor sport climbing experience / seconding traditionally protected climbs at V Diff – Severe standard / winter hillwalking, trekking or mountaineering using an ice axe and crampons. Intermediate climber. Leading single or multi pitch trad rock climbs at Severe – VS / ice climbing experience seconding routes to Scottish grade 2 – 3 or equivalent alpine terrain / familiar with multipitch abseil descents. Experienced climber. Leading multi pitch trad rock climbs at VS – HVS / multi pitch winter climbs to Scottish grade 4 or equivalent alpine terrain. If you mainly climb with guides or seldom lead climb, you have extensive experience seconding at this standard. Very experienced climber. Regularly lead multipitch E1+ trad rock / ice and mixed routes at Scottish 5+/WI5 or equivalent alpine terrain. If you mainly climb with guides or seldom lead climb, you have very extensive experience climbing at this level. Please make a self assessment against these levels, and refer to the trip requirements. These are cardiovascular (CV) fitness and activity levels eg. running, cycling, hillwalking or competitive sports that get your heart and lungs working for extended periods of time (not strength training in the gym!). You do 1-2 hours of training/cardiovascular sport per week. Eg: you should be able to climb Snowdon from Pen y Pas in around 2 hrs carrying a day sack, or Bow Fell starting from Langdale in the Lake District in about 2 1/2 hrs. You do 2-3 hours CV training/sport per week. At this level you should be happy doing either a 3-4 hour hillwalk, cycling 30 miles or mountain biking 2-3 hours without being exhausted. Eg: you should be able to walk from Ogwen Cottage in North Wales up Glyder Fach – Glyder Fawr – Y Garn – Ogwen in ~5hrs. Or in the Lake District Langdale – Bowfell – Esk Pike – Angle Tarn – Langdale in ~ 6hrs. You do 3-4 hours CV training/sport per week. At this level you are happy doing a 5-6 hour hillwalk, 50 mile cycle or 3-4hr mountain bike ride without being totally exhausted. If you are into challenges – then the thought of doing a road sportive, or training to do a 1/2 (or maybe even a full) marathon, wouldn’t seem too ridiculous. Eg: you should be able to do the full Langdale Horseshoe: Langdale – Pike of Stickle – Angle Tarn – Bow Fell – Crinkle Crags – Pike of Blisco – Langdale in a day without finishing up exhausted. You do 4+ hours CV training/sport per week. A 70+ mile cycle ride, or 20+ mile hillwalk on a weekend would hold no fears. If so inclined, you might be the kind of person who has done longer road sportives/challenge rides, a ~3.30hr marathon or other similar endurance events. Keen hillwalkers who happily knock off 3-4+ munros in a day also have this kind of fitness and endurance. You do 5-6+ hours training for competitive sport per week, have a background in the same, or you are annoyingly talented! Either way, doing a 100 ml bike ride or about a 3hr marathon wouldn’t be unreasonable. Equipment can take a real hammering in winter-time, so a substantial hardshell is preferred, rather than lightweight summer waterproofs. Wicking thermal baselayer tops – synthetic not cotton! Hat or balaclava – must fit under a helmet. Your guide will have ropes, climbing rack, first aid and survival equipment. *Boots: These are VERY important to the success of your trip! Its best to have your own boots and break them in well before the start of the trip – see advice below. Visit the Knowledge Base section of our website or our blog for equipment advice. If you can’t find what you’re looking for, please get in touch! Backcountry UK in Ilkley offer an excellent mountain boot fitting service and general equipment advice. Please see our Equipment Hire page for more details. For this trip you must have specialist travel insurance providing medical, emergency search/rescue and repatriation cover for the following activities: rock climbing and mountaineering in glaciated areas requiring the use of ropes, up to 5000m altitude. We also strongly recommend that you purchase cancellation cover, in case you’re unable to attend your trip due to personal circumstances or injury. Does Alpine Guides climb with customers from overseas, including the USA and Canada? How do I book a climbing trip? For scheduled climbing trips it’s easy to book online, directly from your course page. For hire a guide/bespoke courses please get in touch for a quote. Can I book a single room on my climbing trip? How do I rent mountaineering equipment? 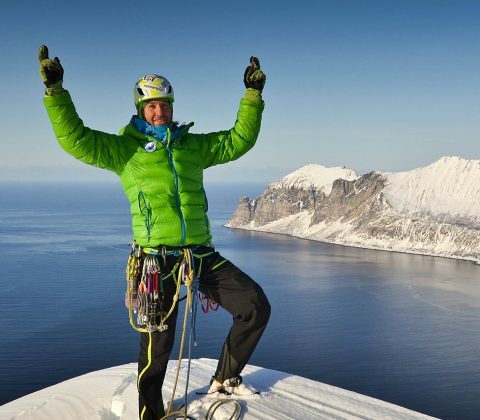 What happens to our plans if the weather is bad, or climbing conditions are poor? We will make every effort to stick to the itinerary, but sometimes its necessary to change plans and select different objectives more suited to the prevailing conditions, or travel to a neighbouring area or sometimes even further afield. A sound mountaineering decision - running away....!